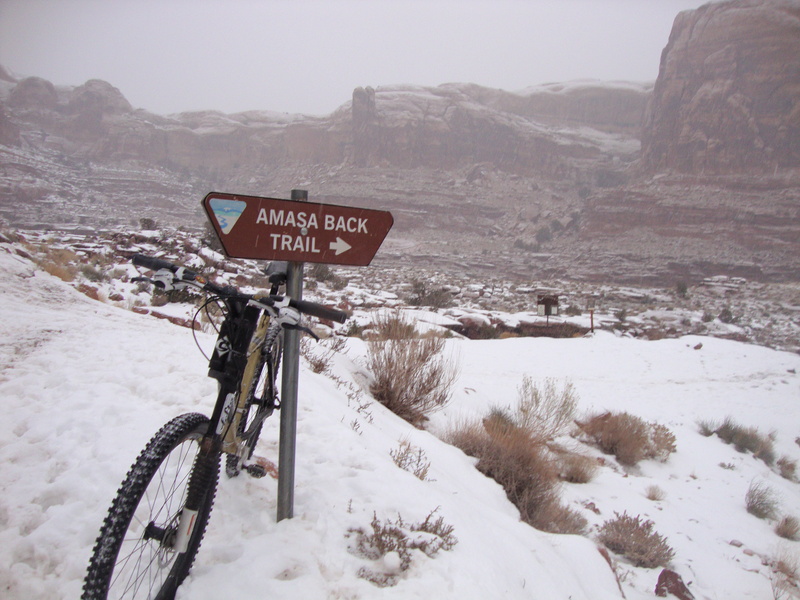 A snowflake fell as I headed out of the parking lot up to the Amasa Back trailhead. Then another fell. 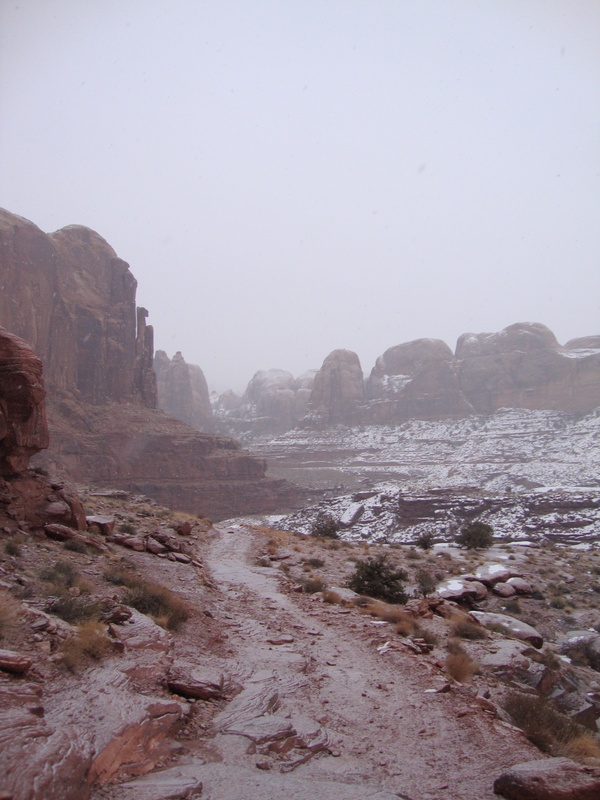 A few minutes later, as I crossed the creek bed with water in solid form and headed up the trail, a nice light dusting of snow was falling from the grey sky. 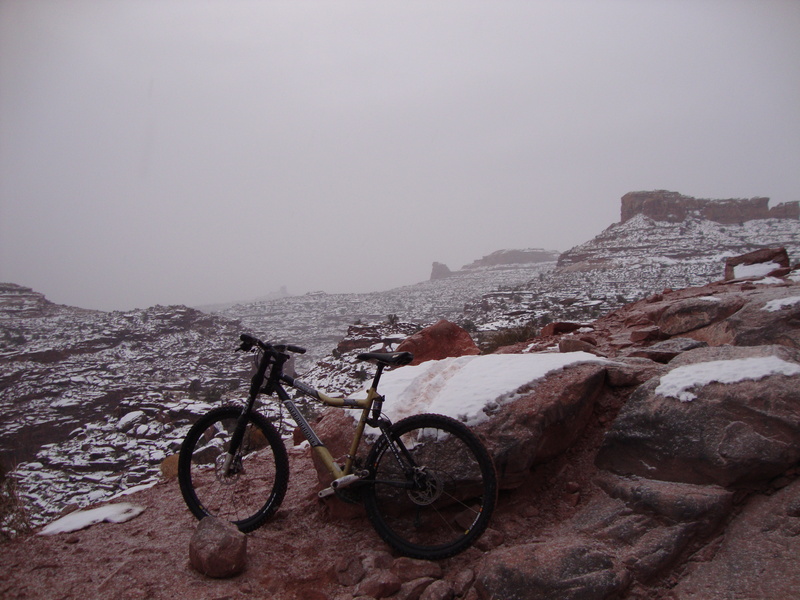 If I was going to have my first Moab mountain biking experience, it was going to have to be in the snow. 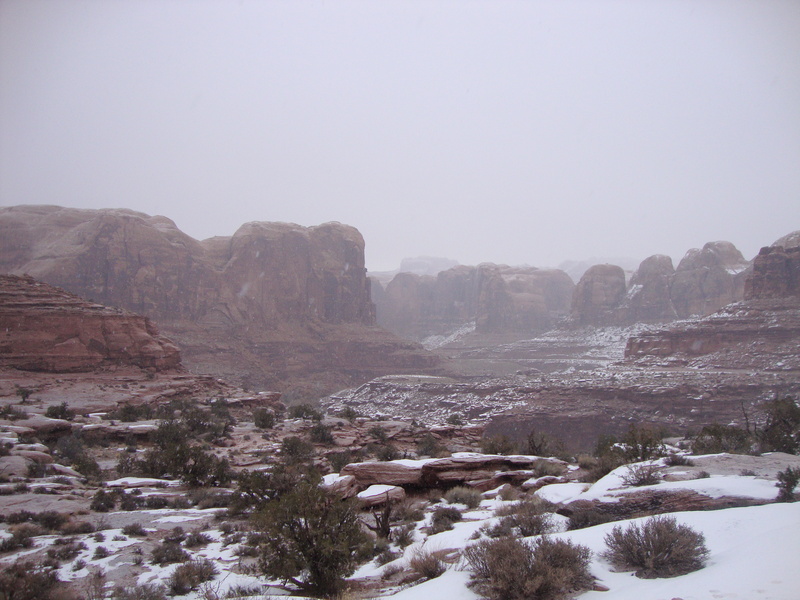 I climbed up the slickrock, occasionally not seeing the white blazes that were nearly invisible under the two-to-three snowflake deep snow. 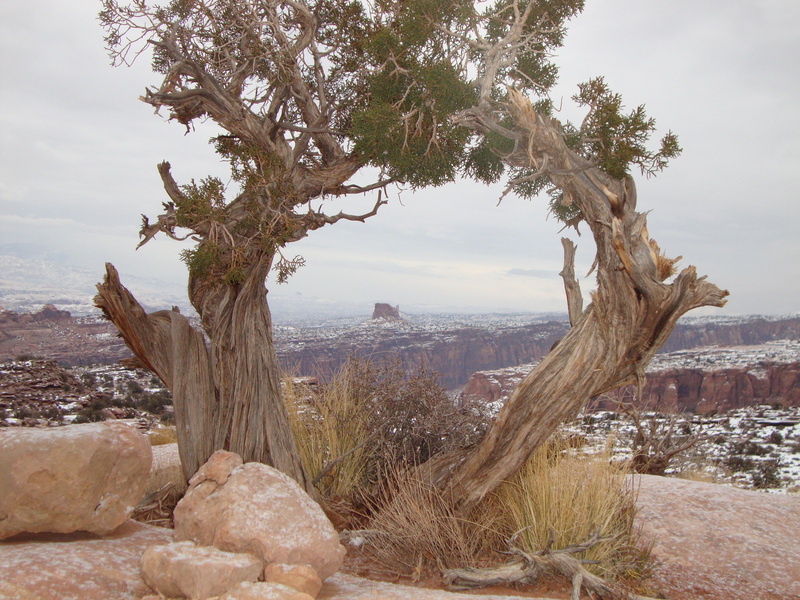 Traction was fine, other than when the trail consisted of snow pack from the storm that passed through two weeks ago. 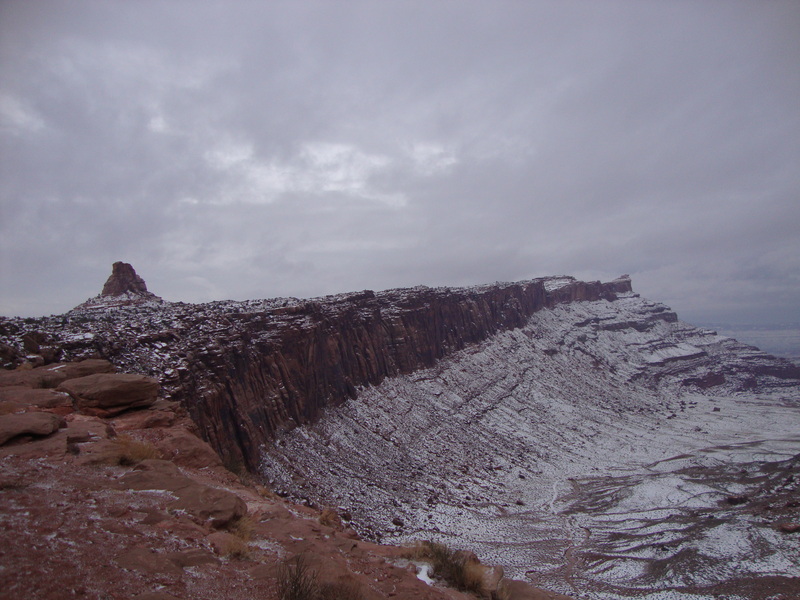 On the way back down, the snow started up again. I followed my ascension tracks. 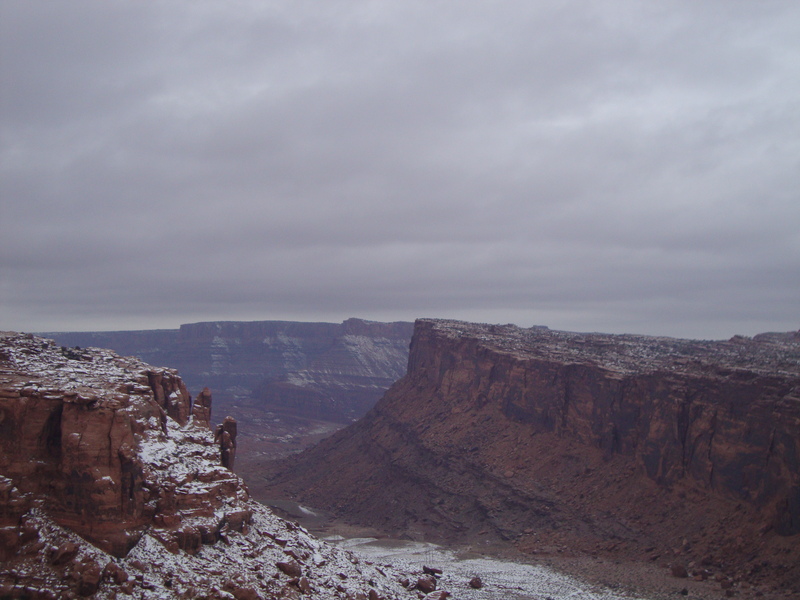 Looking out at the big walls in the snow shower, I was content in the moment. 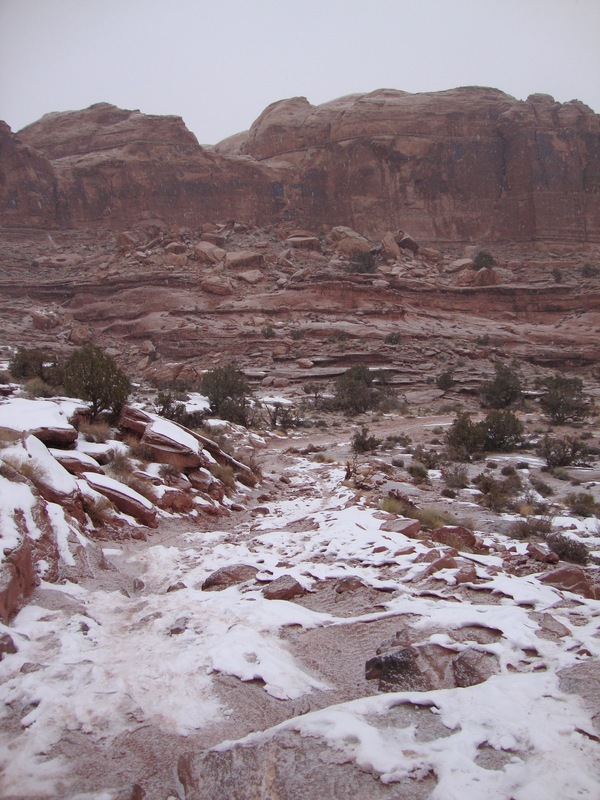 At the frozen creek, I pedaled across and rode and hike-a-biked back up the ledge to the dirt road that was now snowy. Two hours in the saddle made for a great day.